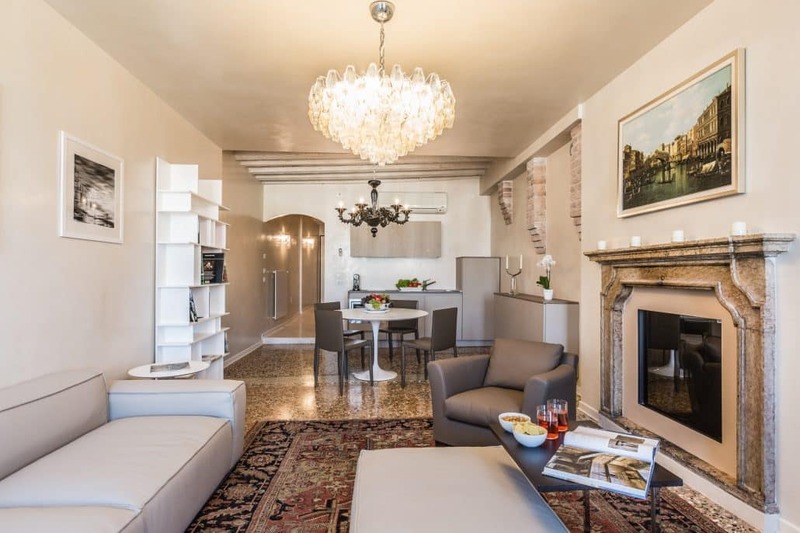 A Ravishing Residence for four near Rialto enjoying ‘pinch-me-I’m-in-Venice’ Grand Canal views! 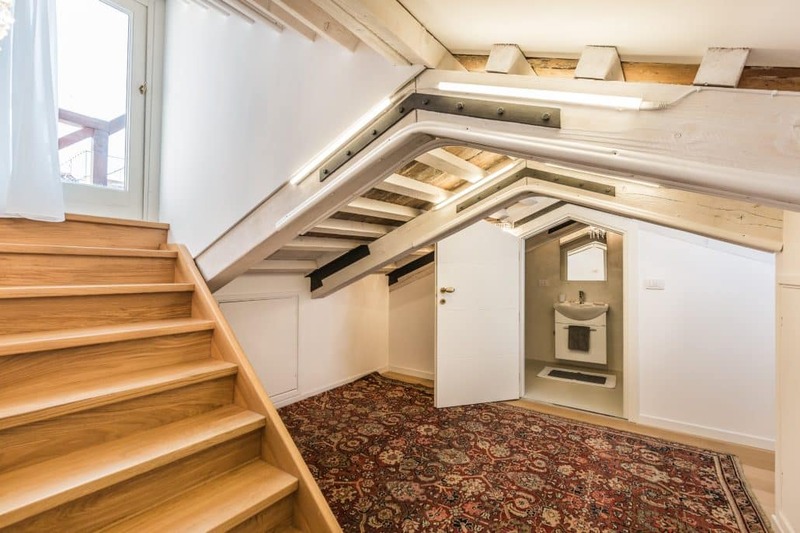 3rd floor and reached by lift to the 2nd floor and then taking one flight of stairs. 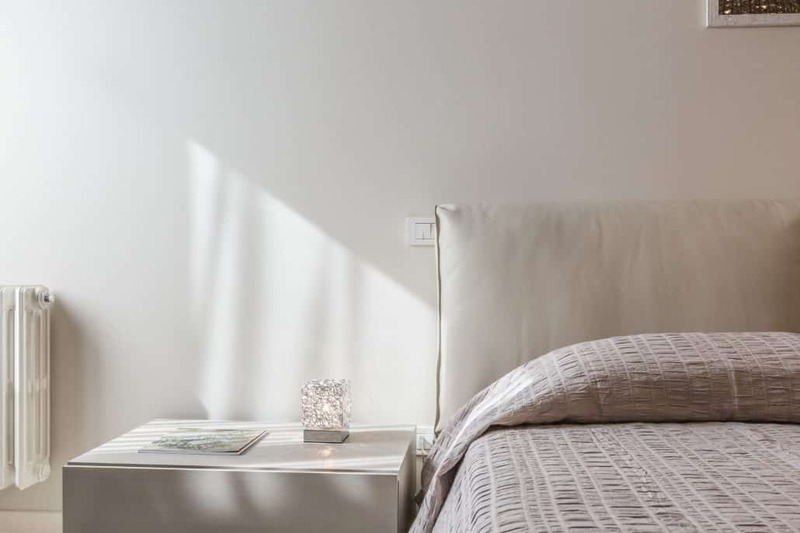 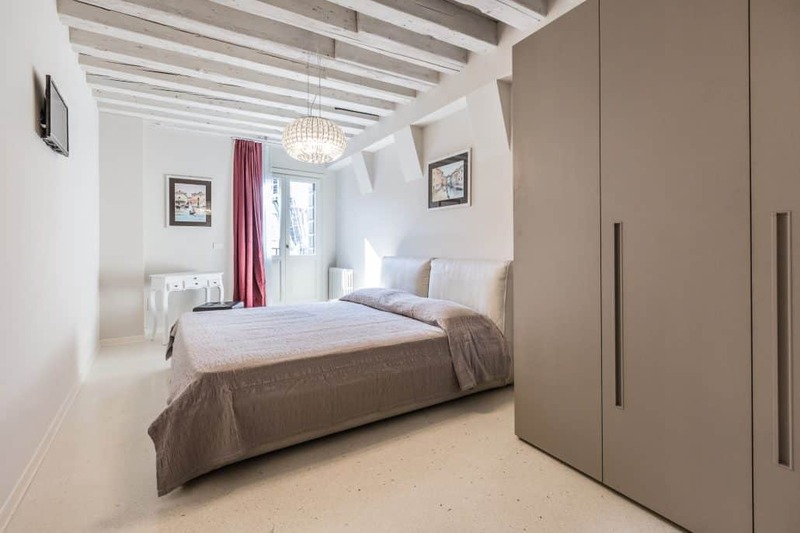 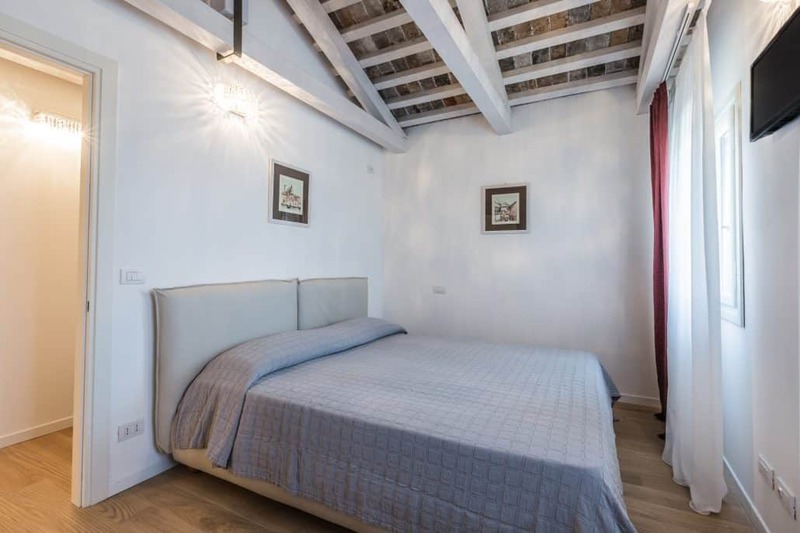 Reached via an unassuming little alleyway that gives nothing away as to the special treat that lies in store, the uber-centrally placed Ca’ Remer (aka House of the Oar Maker) offers 2 bedrooms / 2 bathrooms and an ‘altana’ rooftop terrace in a pivotal spot in the San Marco sestiere. 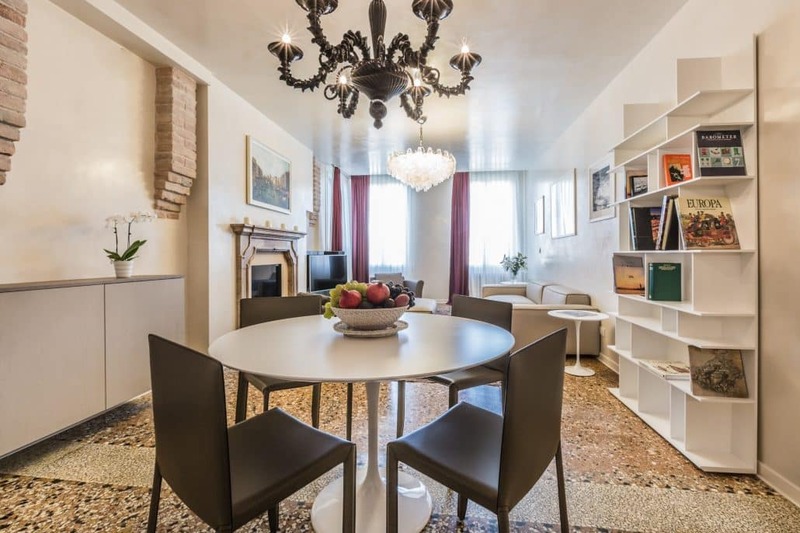 Lying within seconds of the Goldoni Theatre between buzzy Campos San Luca and San Salvador, and rewarding those who stay with a sense of calm above the clamour, the apartment is on the 3rd floor (reached via lift to the 2nd floor with one flight of stairs to be taken on foot). 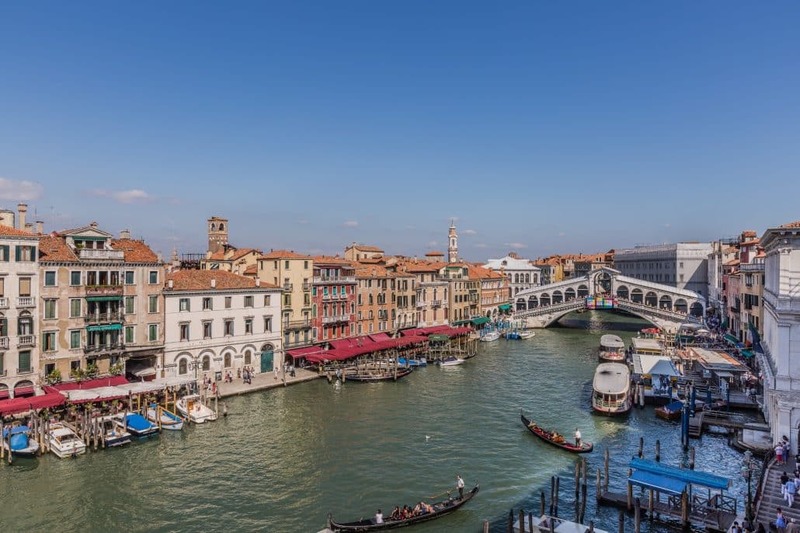 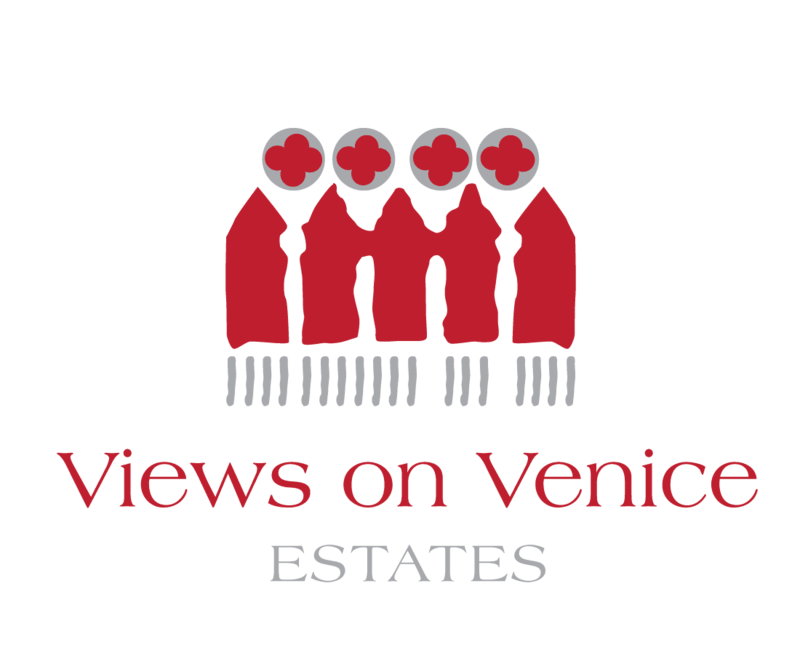 Once inside prepare to be impressed as you feast your eyes on the vista that lies beyond, from the Rialto Bridge on your right to Ca’ Foscari on your left and the hive of activity on the Grand Canal in between! 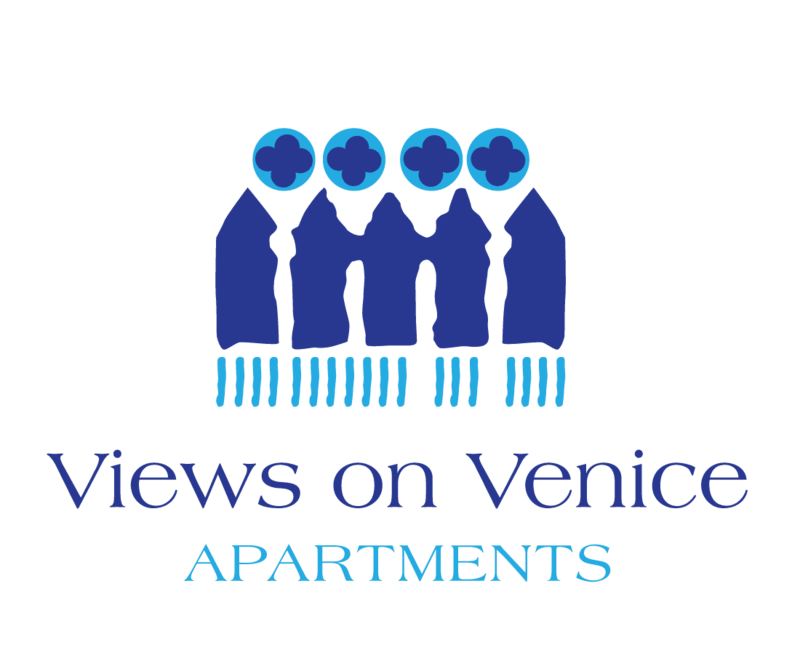 An awesome address in the thick of the action offering endlessly entertaining Grand Canal views! 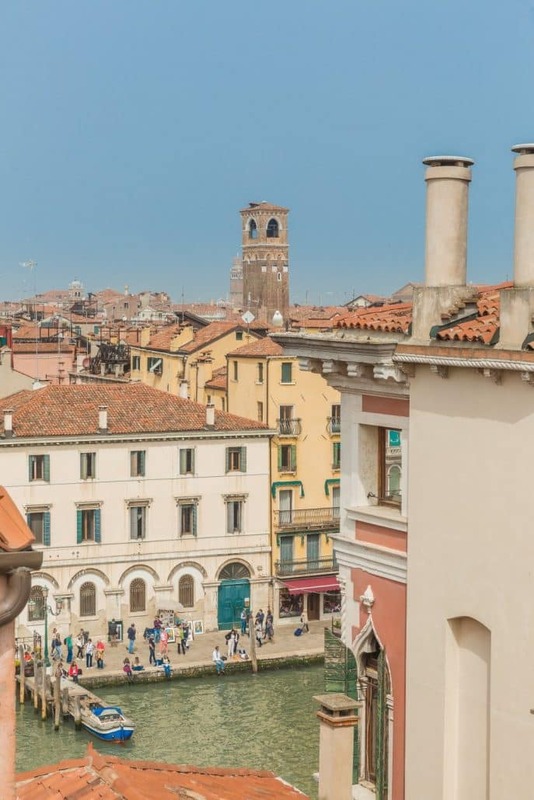 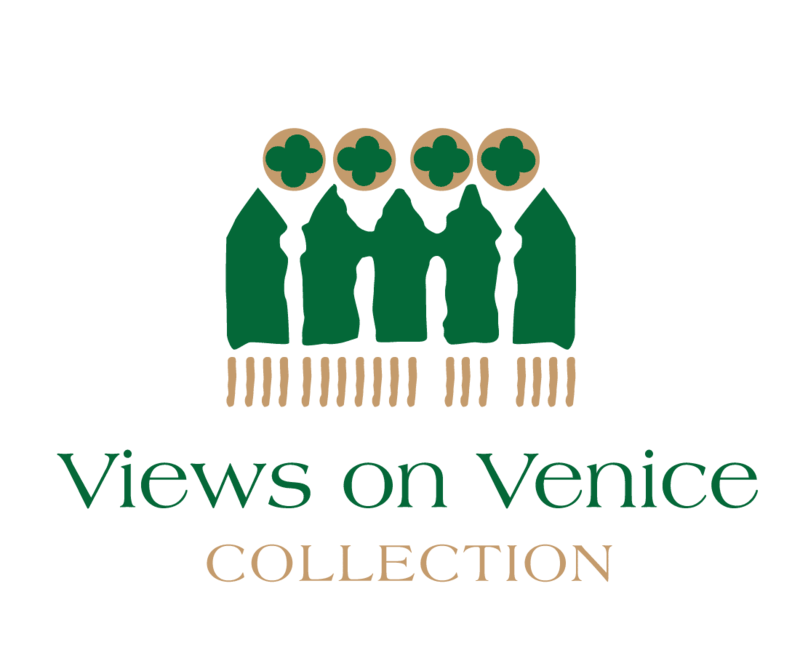 An easy walk past shops, bars and restaurants galore to St. Mark’s Square and to a whole host of Venice attractions including the wonderfully atmospheric Palazzo Fortuny, the famous Teatro La Fenice, and the semi-hidden and recently reopened Scala Contarini del Bovolo. 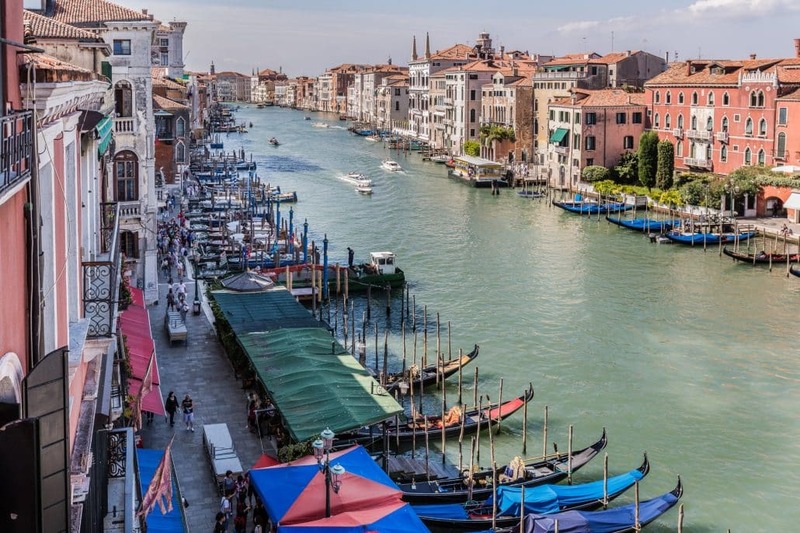 Moments to the vaporetto (water bus) stop at Rialto for hassle-free travel around the city, and to the Rialto Bridge – gateway to the colourful fish, fruit and vegetable markets in the fascinating and labyrinthine San Polo district. 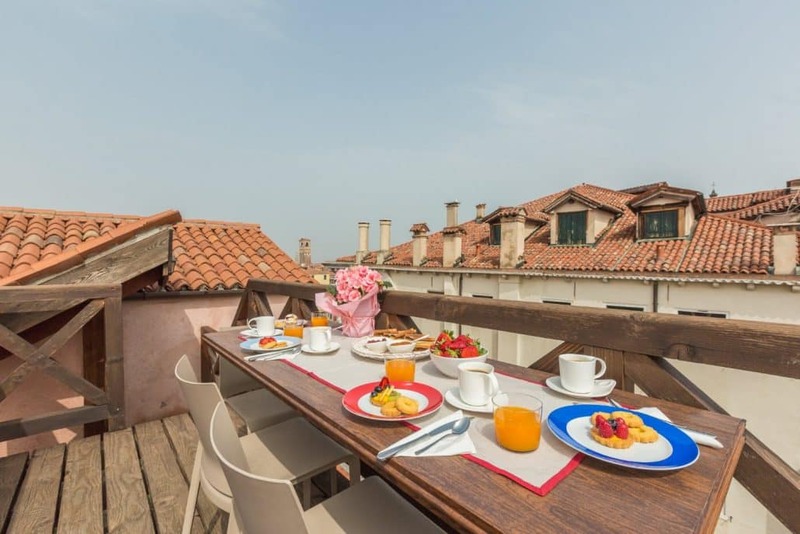 Just steps away from the newly opened and well-stocked Coop supermarket (on the Riva Del Carbon) for stocking up on supplies, and close to the new luxury department store ‘T Fondaco Dei Tedeschi’ with its impressive panoramic terrace and far reaching views. 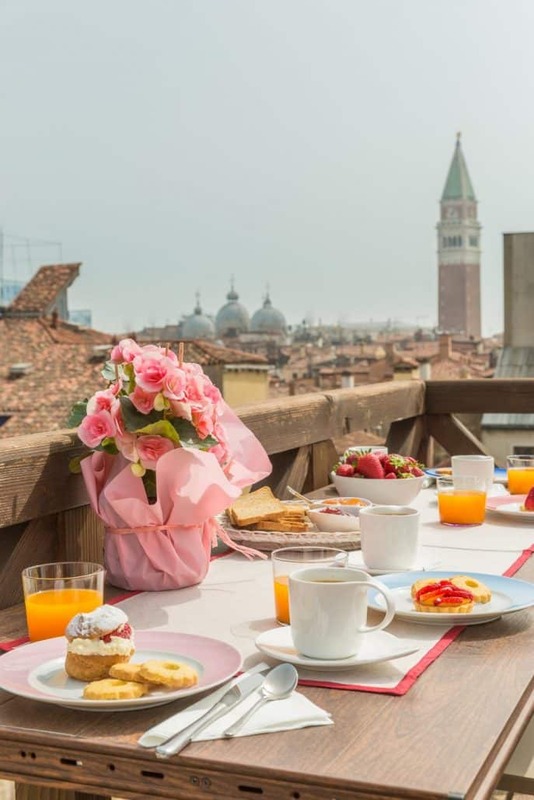 Our VOV Concierge will also be delighted to organise brunches, cocktails and dinner parties according to your wishes and exact specifications or to discuss any special events or ideas you have in mind. 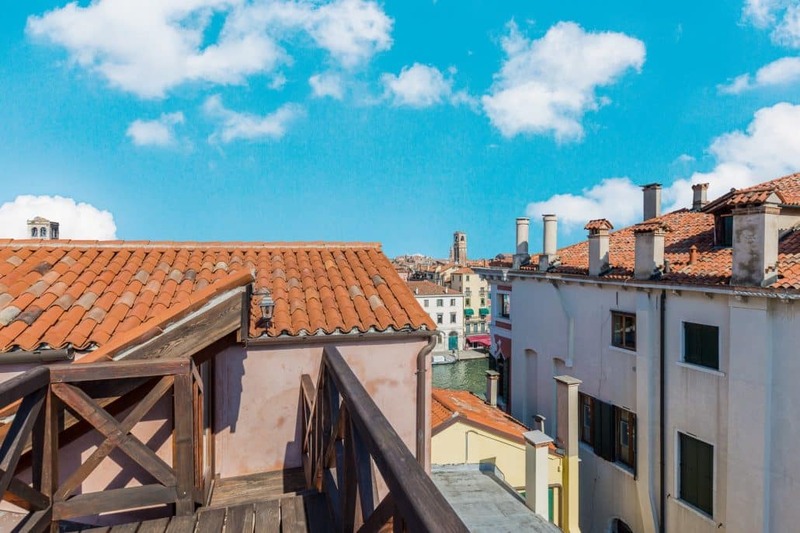 Alternatively, feel free to call us on + 39 342 7791313 so that we may ascertain your needs and craft a personalised offer to send you via email.